A fresh analysis of two previously found skulls determined they’re 200,000 old, making them the oldest known examples of our species. Yet fossil records indicate musical instruments, drawings, needles and other sophisticated tools didn’t appear until about 50,000 years ago, suggesting Homo sapiens had a pretty lowbrow culture for 150,000 years. Well, evolution takes time. Another team found the fossilized remains of what they think is humankind’s first walking ancestor, from 4 million years ago. Other research confirmed that the oldest human ancestor, from the time when we split with the apes, lived around 6 million years ago. 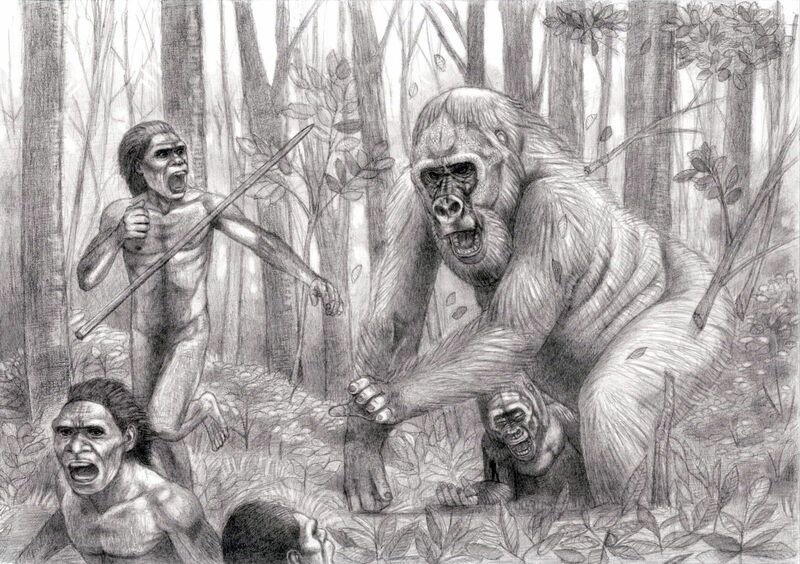 Oh, and you have to respect our relatively recent ancestors (the lowbrow folks) who we now know lived among 10-foot-tall gorillasthat have since gone extinct. Maybe they were so busy running they had no time to paint or create alphabets. ← What is the Sasquatch Connection to the Young Earth?